Prominent & Leading Manufacturer from Thane, we offer rapier loom. 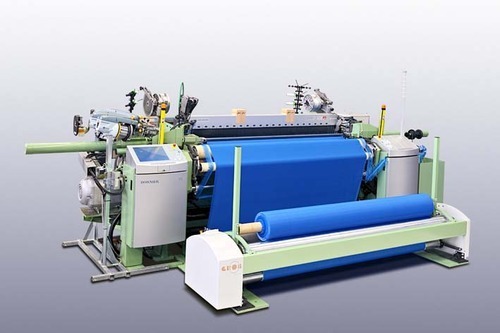 We feel proud to introduce ourselves as the leading supplier of Rapier Loom. Used in various textile industries for weaving processes, offered machines are manufactured using optimum quality components and sophisticated technology under the guidance of proficient professionals. Apart from this, provided machines are praised in the market for their high efficiency and optimum performance. Clients can avail these machines from us at nominal prices. Looking for “Rapier Jacquard Looms”?